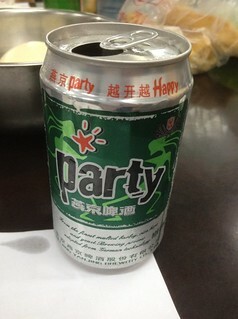 Now tell me if YanJing Party beer can design isn't a blatant rip-off of the Heineken? Green and silver theme with a five-pointed red star. In any case, beer in QQland is very cheap. 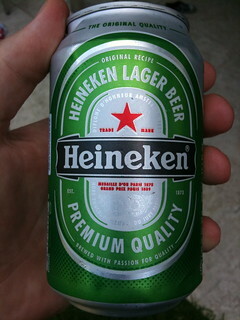 A can of beer is like RMB 3.00 (SGD 0.60). About the same price we pay for duty-free beer when we were in the Armed Services? i think i will be very happy if i go QQ-land.. you dont drink too much lah.. I don't drink a lot in QQland especially when the local folks are several notches above you in terms of drinking ability. It is easier to have an early exit when they know you can't keep up with them to begin with.